Lightning Safety Awareness Week has come and gone, but you must protect visitors from lightning all year long. While protecting folks from lightning seems simple, there are still far too many lightning deaths and injuries every year. Combat this year’s lightning death statistics by improving lightning safety at your outdoor facility. Lightning safety is no joke. In fact, the odds of becoming a lightning victim in the U.S. in any one year is 1 in 700,000. Seems like crazy odds, but the odds of being struck in your lifetime is just 1 in 3,000! 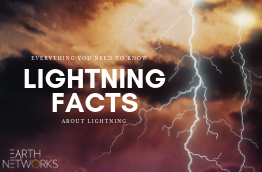 According to the National Oceanic and Atmospheric Administration, the U.S. average 51 annual lightning strike fatalities per year over the last 20 years. In other countries with less alerting technology, thousands of people die each year. In India, about 2,000 people die every year because of lightning strikes. Lightning can injure or kill a person over 12 miles away from the center of a storm cell, so it’s important that outdoor facilities move visitors to safety as soon as they know a thunderstorm is on the way. There are a lot of ways to protect visitors from lightning at your facilities. Below, we’ve listed the top 5 ways that outdoor facilities managers protect their visitors, employees, and infrastructure from lightning all summer long. 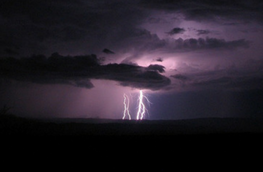 The industry best practice for lightning safety is relying on total lightning detection. 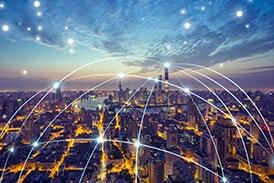 No matter what type of alerting system you choose, network-based total lightning detection is the way to go. Why? A lot of systems on the market today only use cloud-to-ground lightning strikes. While these are the strikes that injure and kill people, they only make up about 20% of all lightning discharges. What are the other 80% of lightning strikes? They are in-cloud discharges. 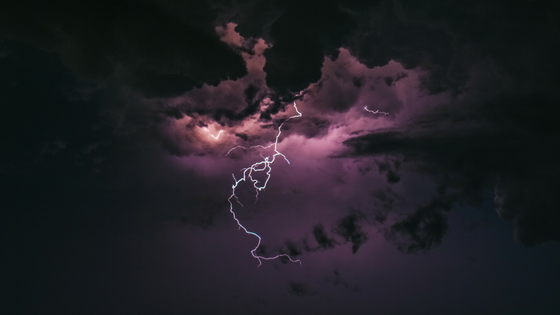 In-cloud lightning can’t hurt you, but it’s often a precursor for dangerous cloud-to-ground lightning strikes and other severe weather that can harm visitors like hail and high winds. When a network uses total lightning detection, it detects both kinds of lightning to provide decision-makers with the fullest picture so they can make the best safety decisions. 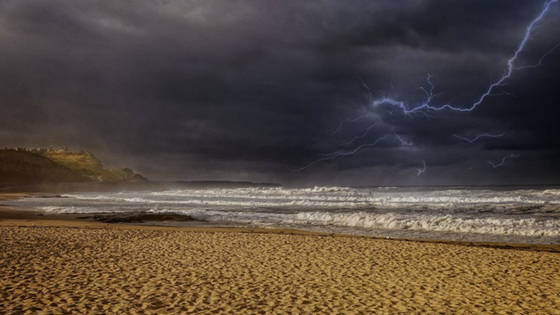 The second way we see outdoor facility owners protect their visitors from lightning is with horn and strobe alerts. These are the quickest, clearest alerts that let everyone know – without a doubt – that there is a threat. These systems, often referred to as Outdoor Alerting Systems, interrupt outdoor activities and let people know something is wrong. 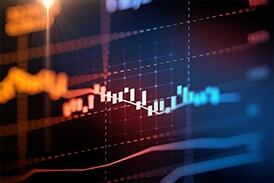 Learn more about our Outdoor Alerting Systems here. When you open up a weather application, you typically want information for the area you’re in. A lot of times, weather apps with only give you weather data for locations you manually set. Not Sferic Mobile. 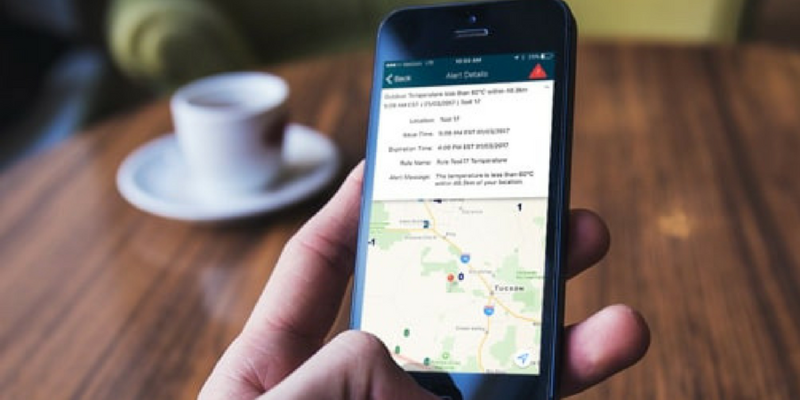 Our Sferic Mobile weather data, alerting, and visualization app can pick up your current location to make sure you have time-sensitive alerts as quickly as possible. This is a functionality users can turn off or on. We recommend turning it on because even a few seconds can make a difference with dangerous severe weather events. 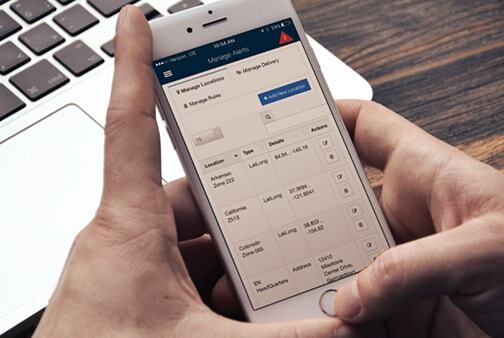 The next tool businesses and organizations use for lightning safety is text alerts. These severe weather alerts are great for on-the-go folks or decision-makers that have a large area to cover. For example, we see Athletic Directors using our text alerts often since they most likely aren’t sitting in front of their computer when severe weather threatens their student athletes. We have custom text alerts for lightning safety. For example, you can choose the location, radius, and type of lightning you’d like to receive text alerts for. 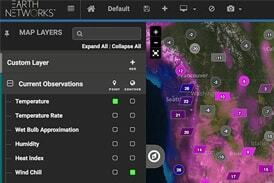 Finally, decision-makers look for real-time weather visualization. One group that uses this method of protecting visitors often is golf course managers. It’s one thing to warn people enjoying outdoor activities about incoming severe weather. It’s another thing to show them that severe weather before it becomes a threat. 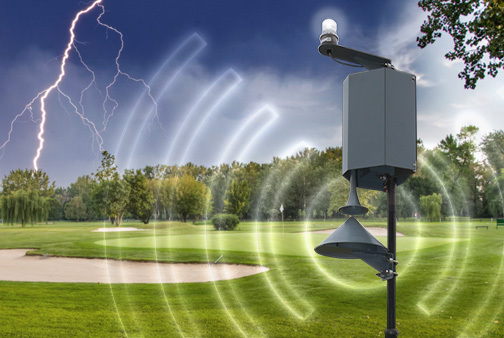 Golf courses often set up our real-time weather visualization software, Sferic Maps, in their Pro Shop to show golfers why they came off the course in the first place. 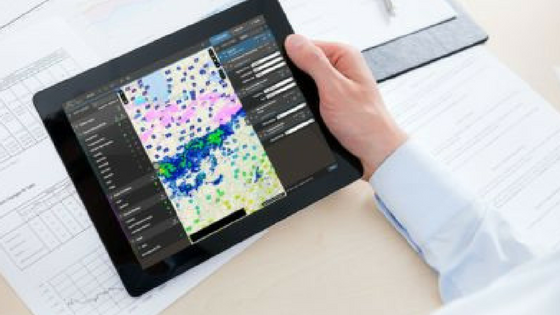 With over 40 layers of real-time weather data like total lightning strikes, wind speed, and severe weather warnings, you can display weather in a way that works best for you and broadcast it to other parties. The best way to combat lightning risk is to be prepared and have alerts. If you noticed, all 5 of the best ways people protect visitors from lightning focus on alerting and preparation with a trusted data source. To help bring awareness to the daily dangers of thunderstorms, the National Lightning Council holds National Lightning Safety Awareness Week ever year in June. Lightning Safety Awareness Week is a time for citizens, government officials, and business owners to review critical thunderstorm and lightning safety information. 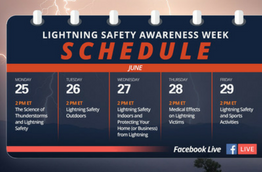 For Lightning Safety Awareness Week 2018, we presented a Facebook Live video series every week day. These 10-20 minute videos focused on the different topics of the week, including things like lightning safety outdoors and lightning safety and sports activities. You can watch recorded versions of our series below. Please let us know if you have any questions in the comments section.